If you find it hard to use your iPhone 6 or iPhone 6 Plus with one hand then you should definitely try the new OneHandWizard tweak from Cydia. The hack adds a ‘one hand mode’ to your device so you can easily use it while walking or doing some other work. While iPhone features iOS’s default Reachability mode this tweak takes the accessibility to the whole next level by making the size of the interface of the device small enough so it can be reached with one hand’s thumb or fingers. The best thing about this tweak is that it has support for both left and right handed users as the screen can be aligned towards either side. 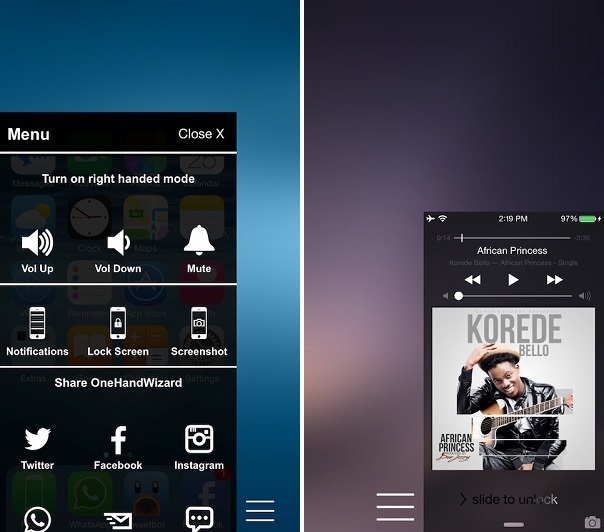 To invoke the one hand mode of OneHandWizard you can double tap on the home button. If you are using an older device such as iPhone 5 you have to tap the home button three times. Users can even use Activator to assign their preferred activation method. Since everyone has a different hand size users can resize the hand mode according to their personal preference. Not only can you use what is usually on the screen but the tweak also adds a shortcut menu that has on-screen buttons for functions like volume control, mute, taking screenshots, social sharing buttons and more. Unlike the Reachability mode of iOS that lasts for a few seconds you dismiss the OneHandWizard’s one hand mode yourself, which means you can continue using it until you are done. 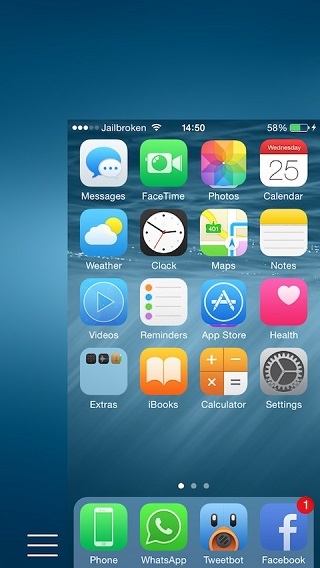 OneHandWizard is a nice addition to Cydia that makes the life of iPhone 6 and iPhone 6 Plus owners much easier. If you are someone who finds it hard to use the device with one hand then it is a must have for you. You can download it from Cydia for $3.99.